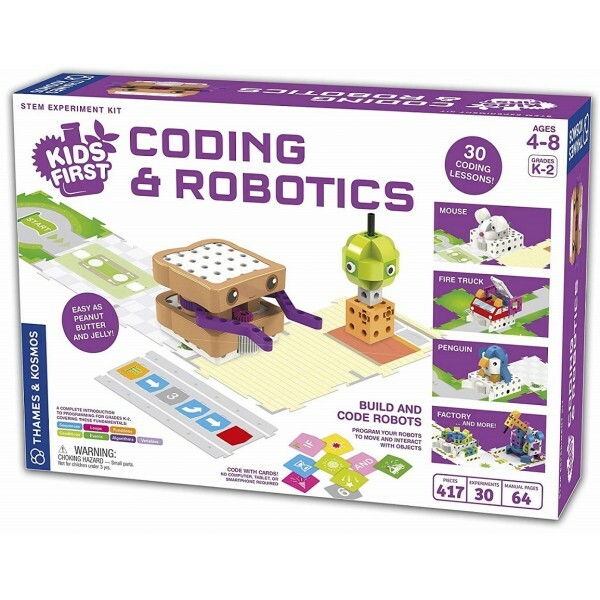 In this kit from Thames & Kosmos, kids as young as four can learn coding principles and skills — no computer required! 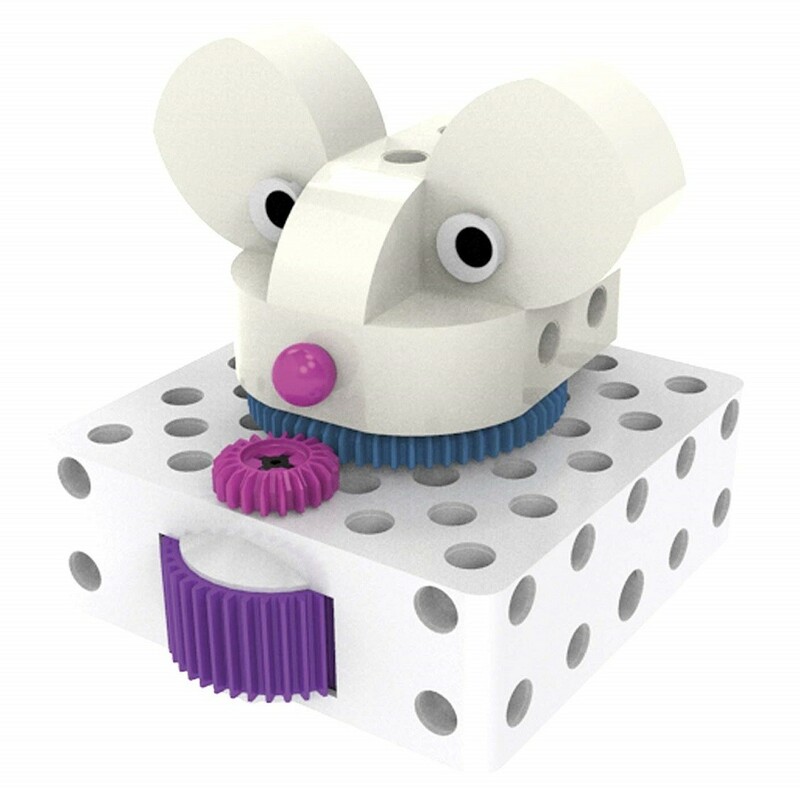 Kids will build a selection of different model robots, from a fire truck to a mouse to a peanut butter sandwich. 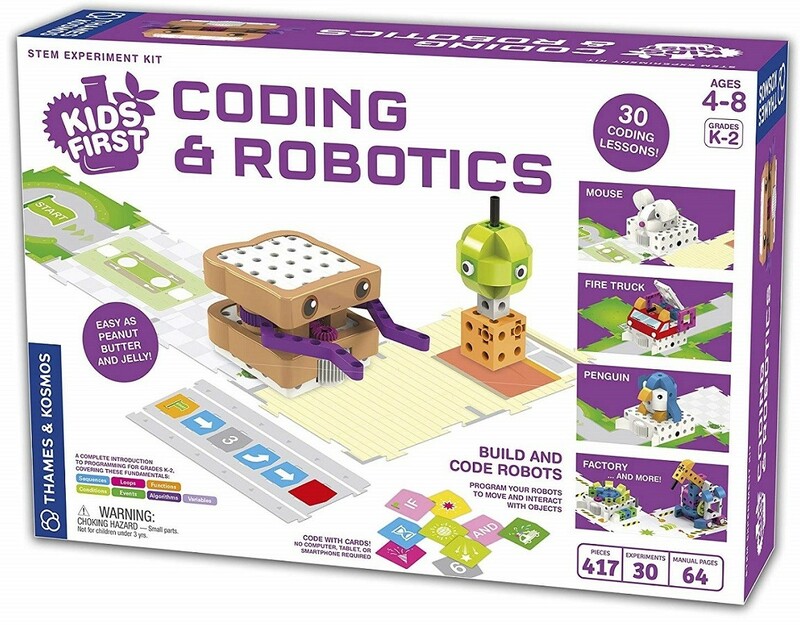 Programs are created by laying down a sequence of physical code cards; as the robot drives over them, an oxide optical scanner on the bottom of the robot reads the code cards one by one and loads the program. Next, place the robot on a grid made of map cards, and the robot runs the program. 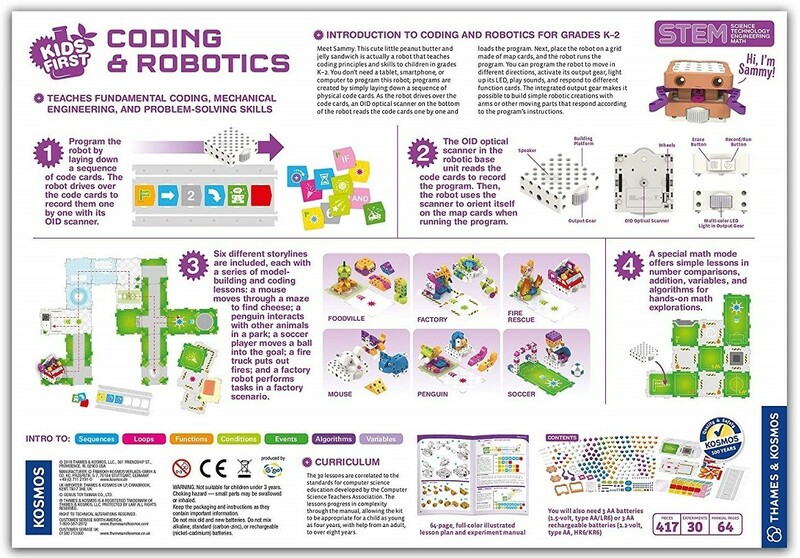 This robot kit includes 30 lessons that progress in complexity through the illustrated manual, covering six key areas in coding: sequencing, loops, events, conditions, functions, and variables. The six clever stories will keep kids experimenting, and when they're done the lessons, they can create their own robotics adventure!